Northern Inland Credit Union is a provider of credit cards, home loans, personal and car loans, bank accounts, investment products, home insurance, car insurance, travel insurance, and business banking products. If you’re considering a Northern Inland credit card, check out what’s available in our comparison table below, based on a monthly spend of $2,000. 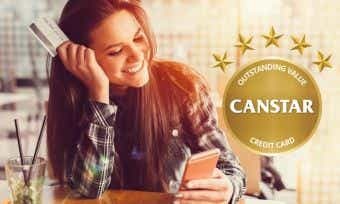 If you satisfy all of the above criteria, you can apply for a Northern Inland credit card by comparing credit cards on the Canstar website and applying online on the Northern Inland website. If you need help to apply, you can call Northern Inland Credit Union on 1300 65 65 81 (open Mon-Fri). You can also apply by printing off an application form. How do I activate my Northern Inland credit card? Once you’ve completed the application process, you’ll need to activate the card before you can use it. You can activate your card using online banking, by calling the Northern Inland on 1300 65 65 81, or by visiting a branch. Can I manage my Northern Inland credit card online? You can manage your Northern Inland credit card through online banking. By using the Northern Inland online banking service, you can activate and deactivate your card, view your recent transaction history, view your balance, and more. How is interest calculated on my Northern Inland credit card? Interest is charged on purchases when you carry a balance on your BankVic credit card. Interest is charged on cash advances from the date of withdrawal and on balance transfers from the date of transfer. Up to 55 interest-free days apply to purchases made by the Visa Classic credit cards as long as you have paid the balance in full for the previous month’s statement and for the current month’s statement. Note that there are no interest-free days on the Northern Inland Credit Union Low Rate Visa credit card. What will my credit limit be on my Northern Inland credit card? Your credit limit for a Northern Inland credit card will be determined based on the information you provide in your application, above the minimum credit limits (see above). Find out more about how credit limits are determined here. If you wish to change the credit limit on your card, you can submit a request at any time by emailing info@nicu.com.au or by calling 1300 65 65 81. Northern Inland may approve or reject this request based on their lending criteria. How do I close my Northern Inland credit card account? You can close your Northern Inland credit card account at any time by posting a written request. Your card balance will need to be repaid in full even after the card is closed, and you will continue to receive monthly statements until your card balance is fully repaid. If you’re cancelling your credit card with Northern Inland Credit Union because you’re struggling financially, contact its financial hardship team to find a potential solution. Northern Inland Credit Union has over 40 years’ experience in providing financial services, and is entirely member-owned. It has gone by the name of Northern Inland Credit Union since 1988, when three companies – Oxley Mutual Credit Union, Tamworth Community Credit Union, and Namoi Credit Union – merged.